In-person local classes are currently on hold. However, Distant/Internet Classes are still available. To enroll in a distant class please us the Contact Page. Most distant classed may begin at any time. ..What do All These Classes Include? access to the Class Pages at this web site for the styles I have taught you (these are exactly the same as the class manual) - plus continued access to these pages after class. In Person Classes (in town) are held in the Vancouver, B.C.area (i.e. Lower Mainland) as requested. Usually they are held at my location ( 9 am - 5 pm) but they may also be at the students residence, or in a hall. We take an hour break for lunch - students can bring their own or we can go to a nearby restaurant. For more information , see my Scheduling Page. Requirement: you must be a certified Reiki Master in order to take this class. NOTE: the DISTANT version of this class is called Gendai-Ki Reiki - Please see this page for an explanation. This is a Japanese Reiki Master level upgrade class containing many aspects of original Japanese Usui Reiki Ryoho. By upgrade, I mean that the class assumes you already are a practicing Reiki Master and have the ongoing support of a previous teacher in the areas of class content, teaching Reiki classes, giving attunements, and the ethics and practices of a Reiki Master. The way this class was first presented by Doi-sensei outside of Japan assumes all this and he offered no ongoing support after class (although I do offer this). Inside Japan, a new master would be expected to repeat the class and assist Doi-sensei in his other classes and meetings. Mr. Hiroshi Doi was a member of the Usui Reiki Ryoho Gakkai in Japan (1993-2010), and author of the book Iyashino Gendai Reiki-ho (Modern Reiki Method For Healing). 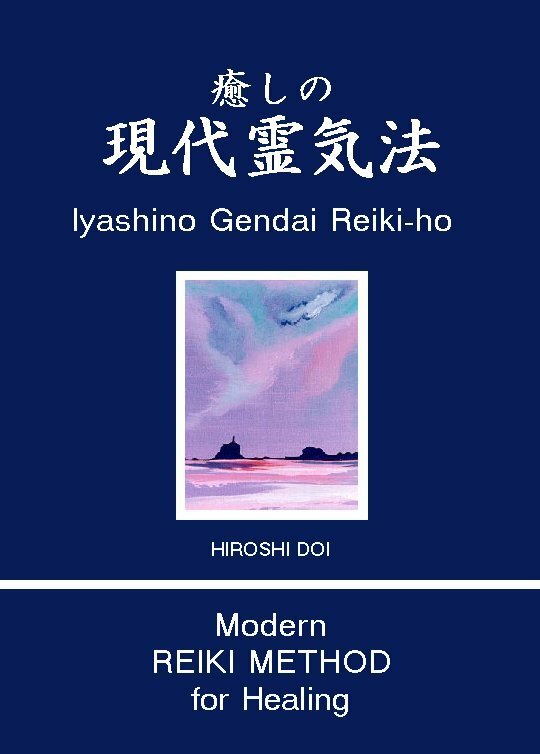 His school of Reiki is called Gendai Reiki-ho and his master level class is a one day workshop (2 days with translation). His Gendai Reiki is a combination of traditional URR Gakkai Reiki, other Japanese healing techniques he has learned, and Western forms of Reiki. For more detail Click Here. Mr. Doi has taught his Gendai Reiki Master class at the URRI 2000 in Kyoto, URRI 2001 in Madrid and in Toronto at URRI 2002. and in Silkeborg Denmark at URRI 2003. I received certification as a Reiki Master by Doi-sensei in Ashiya-city, Japan, in November, 2000, as well as membership in his Gendai Reiki-ho Society. (He also taught this at other times, outside of Japan). I am authorized to teach his Gendai Reiki-ho classes. Originally the Gendai Reiki Ho Master Update Class was the Gendai system as taught by Doi during the years he presented at the 5 URRI conferences in Vancouver, Toronto, Kyoto, Madrid and Silkeborg. It is the way that I originally learned it repeatedly during that time, and what I was certified in. However, I added in the aspects of the teachings I learned during the 4 URRI conferences Mr. Doi gave presentations of his work at. My students are required to learn and evaluate all methods and techniques of all 4 Gendia levels as well as practice them. In our master class with Mr. Doi, he simply presented the important parts from each of his Reiki levels' material and in the end gave us all an attunement at the 4th level. Since that time, Mr. Doi has modified his update class to be more like how I teach it and has added an Introduction section to his work that is simply an excerpt from his book "Modern Reiki Method for Healing." My own students receive a copy of the entire book from me. Doi-sensei had asked that this version of the system of Reiki be taught exactly as he presented it but thus far it seems I have been ahead of his changes so my current students are fine with what I share with them and how. I teach one and a half days as his master class, called Gokuikaiden (highest level), but add a focus on the many techniques he presented in the actual URRI seminars. In order to give my students a fuller picture of Doi-sensei's methods, I also add a BONUS of videos plus a half day with an expanded version of the Reiju Workshop he first presented to us. (I do not believe he teaches this any longer). The energy lineage of the class is Usui/Taketomi/Koyama/Doi/Rivard. The class material is presented in such a way that even the distant student can feel they are actually in class with Mr. Doi, thanks to the video which includes shots of Doi-sensei explaining (through translation) how to perform the attunements and how to use his various Reiju methods. Richard also demonstrates on the video each attunement in greater detail so that the student can use this over and over as a practice guide. instruction in Gendai Reiki Ho Mastership (Shihan) Gokuikaiden material, as well as a review of Gendai Reiki Ho Shoden, Okuden and Shinpiden key material. a video showing Richard performing all attunements (including Gendai Reiju) and bonus shots of Doi-sensei performing attunements. a Gendai Reiki-ho Master certificate. an attunement using Doi-sensei's master level integrated attunement. a detailed colour class manual with all the Gendai Reiki Ho information, techniques and illustrated attunements. the class manuals that Doi-sensei uses for his Shoden, Okuden, Shinpiden and Gokuikaiden (highest level) classes (Reiki 1, 2, 3, 4). access to a Daily Reiju page with a choice of 12 different Reiki energies. This allows the students to continually receive Reiki attunements at their own convenience. you receive Continuous Support even after class through my Gendai Reiki Ho Master class pages and optional email list. I email you each time I make an upgrade to the material and you can immediately download the changes and improvements. Click here to see what all these classes include. BONUS access to the Usui Reiki Ryoho workshop class pages. BONUS the 2 hour Master level Threshold Reiju workshop including a copy of the Threshold Reiju Workshop manual and access to the class pages. PLUS a copy of Doi-sensei's book "Modern Reiki Method for Healing"
Completion of this class in a live or in-person format certifies you as a Gendai Reiki Ho Shihan (Master) and allows you to teach all levels of Gendai Reiki Ho to others. Completion of this class in a distant or internet format certifies you as a Gendai-Ki Reiki Ho Shihan (Master) and allows you to teach all levels of Gendai-Ki Reiki Ho to others. Note: Threshold Reiju Workshop - If you wish to take this additional workshop at the completino of this SSR class, please let me know. The additional fee is $300 USD (or equivalent). ($350 CDN if class is taken in Canada). Requirement: you must be a Reiki Master to take this class as the class content assumes you already have master level experience. If you are new to my Reiki classes please provide me with information about your previous Reiki training. Also, please provide me with a copy of your master level certificate. This is a Reiki Master level upgrade class . By upgrade, I mean that the class assumes you already are a practicing Reiki Master and have the ongoing support of a previous teacher in the areas of class content, teaching Reiki classes, giving attunements, and the ethics and practices of a Reiki Master. SSR is an energy system or matrix that combines the power and benefits of 3 energy frequencies available from the Source of ALL LOVE: Sekhem, Seichim and Reiki. Each of its three components plays a specific role that when combined with the others creates a unique synergy. Reiki anchors and grounds aspects of universal life force in the physical and subtle bodies and into the Earth, while assisting the opening of doorways to many higher levels of our own being. Seichim dissolves barriers to the higher self, activates and strengthens the light body and opens and assists one's connection to higher beings of Light and the Source of ALL LOVE. As the energies of Heaven and Earth integrate within the heart, Sekhem balances and merges the physical and subtle bodies, unifying all polarities. The lotus blossom of the unified heart chakra bursts open and unfolds, bringing forth the eternal golden blue-white flame of what some call the indwelling Christ Consciousness and the I Am Presence. receiving the SSR attunement, facets 3 through 7, in 2 different formats. upgrades to p[previous levels of Sekhem and Seichim. PLUS a Video showing the attunement procedures. Completion of this class in a live or in-person format certifies you as a Sekhem-Seichim-Reiki Master and allows you to teach all levels of SSR, Reiki and Seichim to others. This workshop material includes all of the original techniques taught by Japanese Sensei Hiroshi Doi from the original Usui Reiki Ryoho International conferences. The techniques were presented in an August 1999 workshop I hosted here in Vancouver, by Doi-sensei to over 60 international Reiki Masters, and repeat at the following 4 annual URRI conferences. These are not difficult to learn and use, and many are enjoyable to add into your own Reiki classes or Reiki sessions. Note: The manual is no longer available in print or as a pdf. However all material is presented at the class pages. Click Here for a list of the techniques. Requirement: you must be a Reiki Master to take this workshop as the class content assumes you already have master level experience. If you are new to my Reiki classes please provide me with information about your previous Reiki training. Also, please provide me with a copy of your master level certificate. this is NOT a master level certification class; it is a workshop for experienced Reiki Masters. (Note: these are the simple attunements that Mr. Doi would use in his Reiki gatherings, to emulate what the Usui Reiki Ryoho Gakkai do in their meetings; however they are NOT the attunements he uses in his Gendai Reiki Ho classes). a 1931 Hayashi attunement process taught in the Traditional Japanese Reiki school (TJR) (This comes from one of the versions that Dr. Hayashi taught). reiju is given several times in this class using a few different Reiki energies of Japanese origin that I have received, to allow the student to experience and compare these. a discussion on the origin of the empowerments and blessings from Usui and his senior student Eguchi. attunements to Japanese lineage Reiki energies. PLUS a detailed colour workshop manual with all attunements illustrated. PLUS access to my Threshold Reiju Workshop class pages (same as the manual). NOTE: a printed manual is NOT given with the Tree Saver option of the distant class. Otherwise, distant class students taking this class with one of my other master level classes will receive a printed copy with their certificate at class end. Click Here for a list of attunements taught.